When I hear Mayor Kip Holden speak on the issue of crime in the Red Stick, I am always unsure what position he will be taking. 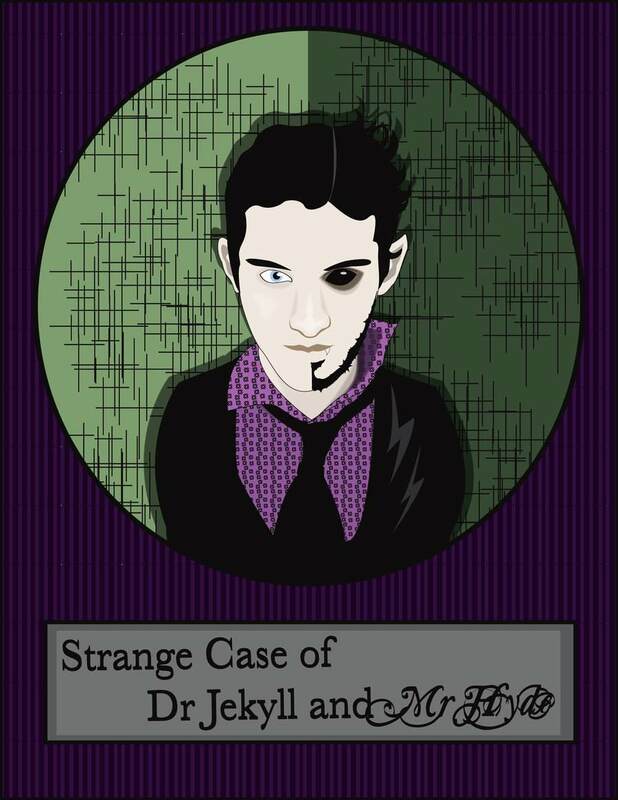 Will I be hearing from Dr. Jekyll or Mr. Hyde? For those with any form of recall whatsoever, you will clearly remember how Mayor Kip Holden has spent the last 12 months defending the incredible job that the Baton Rouge Police Department has done, led by Police Chief Dwayne White, on working tirelessly to make Baton Rouge a safer city and parish. All of his opponents in the last mayoral election suffered at the hands of Mr. Hyde/Mayor Kip Holden as they were almost shamed into making crime an issue in the campaign. Holden was very clear that we were on the right track, and that anyone who even hinted that crime was an issue was simply using it for their own political gain in the election. Now that the dust has settled from the election of Holden’s third term in office, suddenly our Police Chief Dwayne White has failed. Publicly shaming him and even going so far as to blame him for the uptick in crime is the order of the day. The flip-flopping of the political machine called Kip Holden is so incredible and mystifying, that it reminds me of the power that Jim Jones held over his followers that led to 909 followers drinking Kool-Aid laced with cyanide poisoning. It was, I believe, the largest mass suicide in history. Fortunately, the Kool-Aid that Holden has his followers drinking isn’t laced with physical poison — it is, however, a poison that is extremely powerful, as it controls the mind of his followers causing their vision to be skewed like a sailor on the open seas in a thick fog. It can be just as dangerous and far-reaching as Jones’ Kool-Aid mixture. Police Chief Dwayne White was in the process of being led to the Town Square for public flogging when he appeared to reach around and grab the cat’o’nine’tails and turn it on his accusers. I am still studying his remarkable comments and video where he firmly answered each and every charge made against him in a press-ridden public forum. Fascinating to say the least. White is surely a man of conviction. It is no secret to anyone that is acquainted with those in law enforcement, that this line of work is not for the weak of heart. Men and women who choose to wake up every morning and strap a gun to their hips are a different breed. They stand on the front lines every day, and take on the criminal element to fight the good fight against evil. It takes a disciplined mindset to stay fit, remain passionate, and to make a cognizant decision that you are willing to serve and protect knowing your life is on the line every day. The 21 years of service and grooming that brought White to the position he held as Police Chief were long, arduous and surely challenging. You don’t garner the rank of Major overnight. To have overseen the SWAT Team, served his initial years in the BRPD on the streets, and then to move on to LSP to move up in the ranks was no easy task. The job that Police Chief Dwayne White has done in his tenure was applauded by Mayor Kip Holden (prior to the election last fall) as well as the East Baton Rouge Metro Council, community leaders, and in particular African American pastors and leaders in the Red Stick. How did we suddenly wake up one morning with the acknowledgement of a ‘crime uptick’ and rumors that White would be fired shortly after the re-election of Holden to his third term? Why was crime discussions during the mayoral campaign, according to Mayor Kip Holden, a fallacy dreamed up by the likes of those who were seeking the office of Mayor-President ‘only for political gain’? When did everything suddenly turn around? How did we go from being ‘on the right track to addressing crime increases’ to the complete failure of the Police Chief in his duties? These are the questions one must ask Dr. Jekyll and Mr. Hyde (also known as Mayor-President Kip Holden)? White was on the right track according to residents in the 70805 zip code. For the first time since I left that zip code, I have watched closely and listened carefully to those residing in 70805 as well as those in authority and leadership applaud the efforts and strides that have taken place in this drug-ridden, violent crime area of our city. BRAVE and other programs were making huge steps forward…there were no steps being taken backward. Suddenly, the Kool-Aid has appeared. Please, please, please, I implore you to not drink the concoction being developed in the political laboratory of Mayor Kip Holden and his cronies. Think. Think back over the past months on the progress that has been made. Put aside Union thinking, political persuasiveness, and really face the facts that we were taking baby steps and big steps toward a safer city and parish. For the first time in years, all of our law enforcement agencies were coming together for the greater good in a way I do not recall. Territorial adversity was not the order of the day. We were forming coalitions, think-tanks, committees, crime initiatives that pulled all of our law enforcement personnel together to make our city safer. Don’t be fooled. You can’t say one thing for 21 months, and then suddenly turn on someone and try to convince everyone that everything you said was no longer true. We knew, as a community, that we had a serious crime problem. It is no secret. The only individual that I am aware of that refused to acknowledge that fact was the political candidate who was seeking a third term as Mayor. Now, that he has convinced you to re-elect him, he suddenly is saying ‘that is not the way it really was’. The firing of Police Chief Dwayne White was personal. The facts are coming out. White was indeed being micromanaged by the Union, by Mayor Kip Holden via his CAO William Daniel, and he was slowly being led to the slaughterhouse. We must seek the truth, and no longer accept the lies and misleading of candidates who are more interested in re-election, power and control and support those individuals that were making positive changes in one of the most critical areas of our family’s lives — public safety. For now, I will continue to stand by former Police Chief Dwayne White and applaud him for his efforts and the strides he made during his tenure as the top in command of the BRPD.